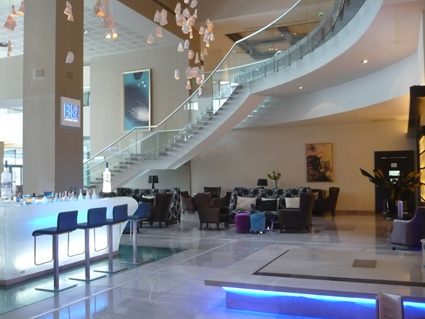 at the Radisson Blu Hotel, Bucharest was 5 September 2012. 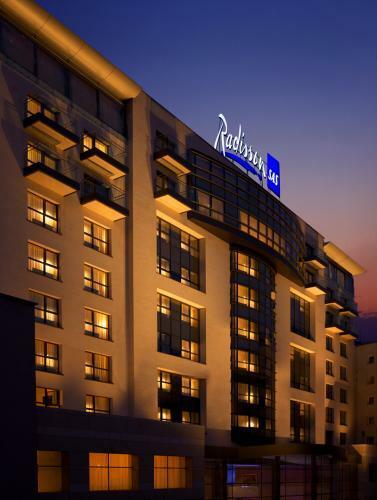 The Radisson Blu Hotel Bucharest is located in the city center, business and shopping area. In the vicinity there are tourist and historical attractions. The Hotel features 718 guest rooms, each incorporating a sleek, modern look composed by world-renowned architect Uri Blumenthal and interior designer Buki Zuker. The rooms offer views of the hotel's landscaped garden or the historic Calea Victoriei. All rooms have high-quality amenities such as free high-speed Internet access, an LCD television and quality bath products. Decorated in warm brown and beige tones, Standard Rooms blend leisure with sophistication to create an atmosphere of pure relaxation. With views of the nearby landscaped garden, each Standard Room offers modern amenities and relaxing surroundings. Twin, queen-sized and king-sized beds are available in Standard Rooms. 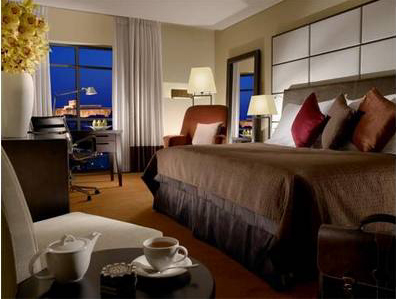 By booking before 5 September 2012, OIML Delegates could benefit from the special negociated Standard Room rate of 110 € (single) or 125 € (double) per night. This rate includes taxes, VAT and breakfast. There are also a limited number of "Bedroom Residence ApartHotel" (4*) rooms in an annex to the hotel (on the same site but not in the main hotel building); the rate for these rooms is 95 € including taxes, VAT and breakfast. Please note that availability of the "Bedroom Residence ApartHotel" rooms cannot be guaranteed as only 20 rooms of this type are available. All individual guests are responsible for booking their own rooms, and for settling their own accounts on the day of departure by cash or credit card. Personal cheques will not be accepted. On arrival a pre-authorization will be taken on the client's credit card. (a credit card will be required).